What did you love best about Happiness Is a Serious Problem? 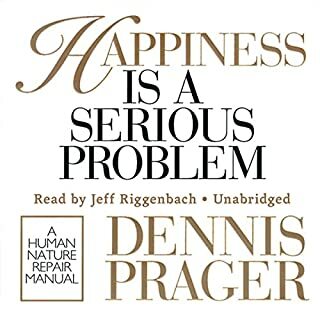 Love the content of this book, it was my first introduction to Dennis Prager many years ago - back then, on cassette tape. However, Dennis really should have narrated his own book. The narrator is adequate, clear but seriously lacks the personality and intonation of Prager. Prager's clever lines fall flat in this version. It is still very worth the time to listen, for content. Daddy, please send mommy to find me!After years of gut-wrenching struggles, almost a half a million in adoption expenses, months of separation, hours and hours of pleading prayers on our knees and silently in our hearts, this was it, and there she was. The Gathering is the account of an incredibly courageous woman. First of all, if you are intolerant of religious people, this is not the book for you. Often times the authors refer to asking God for direction, the whispers of God/children, and how they have been strengthened and have grown in Godly ways through their process of raising their 5 biological children and adopting so many more. The heart of the book centers on their frustrations and disappointments with the foster care system and their ultimate triumph when they complete their very large family. It's a good book, but sometimes hard to relate to someone that had 5 kids by age 25, "knew" what God had planned for her, and sometimes would go to extreme lengths but other times had to walk away - if only for a time - from children with which they connected. I was drawn in by the struggle with the "4 little ones" and the adoption of their 5 children from Haiti. 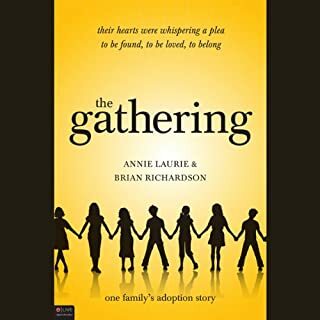 If you are tolerant of, or are a very religious person and you are thinking of adopting, especially if you have some bio-children of your own, this would be a good read - especially if you are struggling through the common setbacks of adoptions. Over the last two decades, Tim Russert has become one of the most trusted and admired figures in American television journalism. 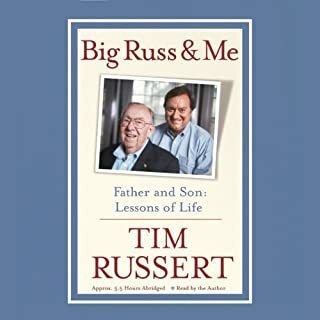 Throughout his career he has spent time with presidents and popes, world leaders and newsmakers, celebrities and sports heroes, but one person stands out from the rest in terms of his strength of character, modest grace, and simple decency: Russert's dad, Big Russ. The best I've read in a very long time! No matter if you are republican or democrat, you should find this heartwarming story of life lessons worth your time. It's not quite as "soupy" as Chicken Soup for the Soul - but I loved the stories of family, hard work, values, determination and guts. This audiobook is also easy to listen to because Tim was a gifted story teller.